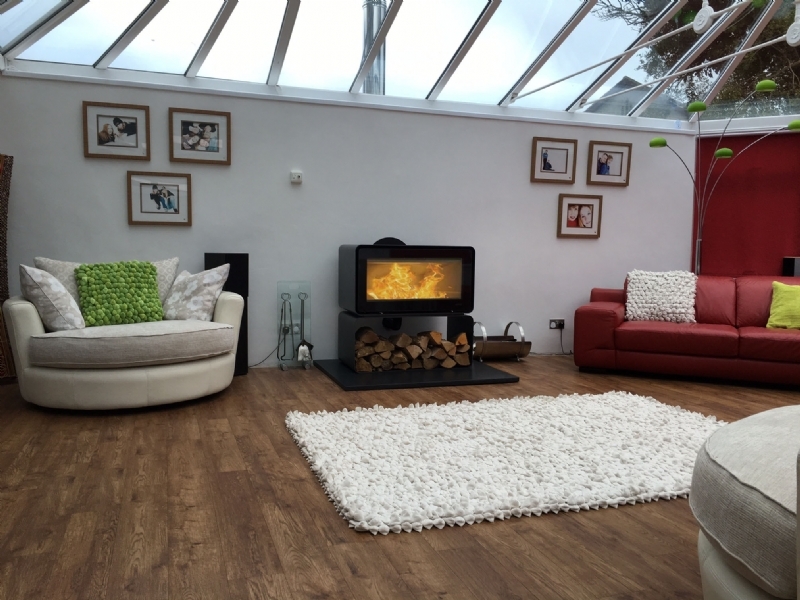 Lotus fire wood burning stove installation from Kernow Fires. Customer Aspirations: Free standing fire with high output. 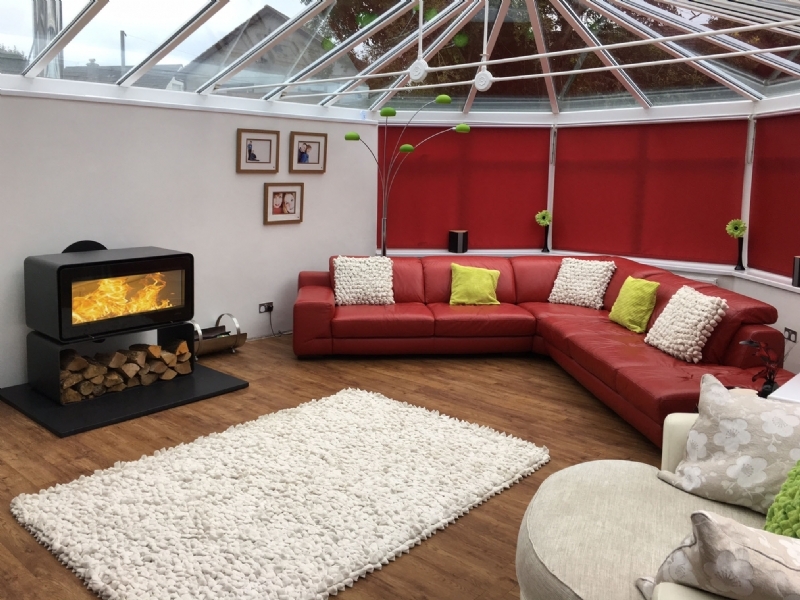 The Lotus fire is a beautiful fire which is currently on display in our Wadebridge showroom and no doubt these customers saw it burning. 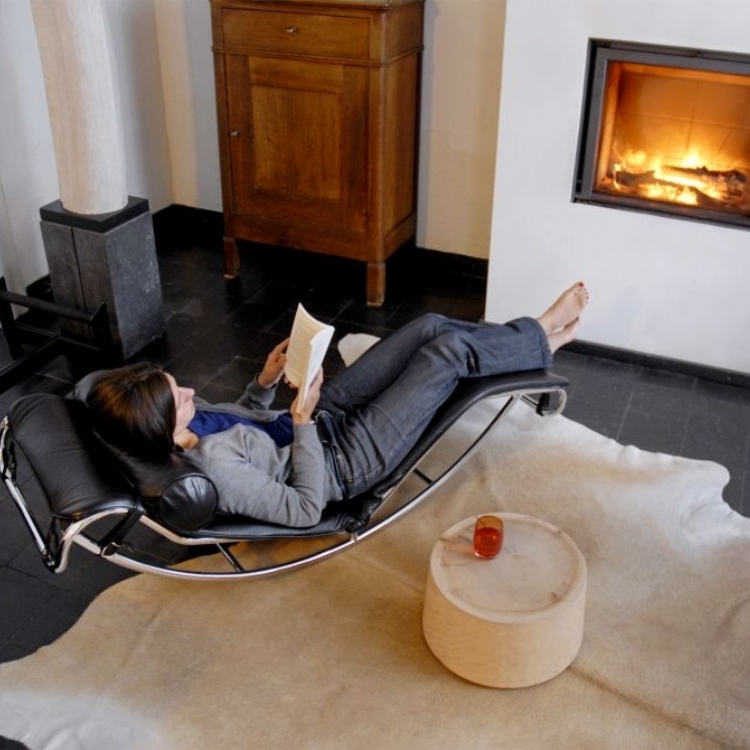 It's panoramic glass gives you a huge flame which burns beautifully and is easily controlled. This landscape format works really well with the shape of the room and it's lovely to see a room fully decorated.